Your driveway not only receives a significant amount of use; it also serves as an aesthetic complement for your home’s exterior. To keep your driveway’s asphalt in optimal condition, you may choose to apply a seal coating or a slurry coating to the surface of your driveway as a form of protection against wear and tear. To help you determine which material is appropriate for you, consult the guide below. Slurry coating is a cold water pavement treatment made with asphalt emulsion, water, and large aggregates. It produces a rough texture which is perfect for heavy-traffic areas like roads and streets. Slurry’s thick texture provides exceptional traction for car tires. It’s also the preferable choice for deteriorated pavement that’s still drivable. However, if the damage is too severe and the asphalt isn’t structurally sound, the pavement will need repairs before the slurry coat is applied. Otherwise, the deep cracks will be visible once the slurry cures. The longevity of slurry coating depends on the weathering and traffic flow, but ideally it will need new applications every five to seven years. Seal coating consists of liquid asphalt, additives, and mineral fillers like acrylics or silica. The fine texture of these materials creates a smooth texture over the asphalt surface. It’s ideal for driveways, parking lots, and other areas that don’t receive a lot of heavy traffic at high speeds, because the surface can be too slick to handle heavy use. Seal coating is a cost-effective way to extend the life of your pavement since it will easily fill small cracks and imperfections in the driveway upon application. It requires reapplication every three to six years to ensure your pavement is protected against car oil, heavy rain, and ultraviolet rays from the sun. 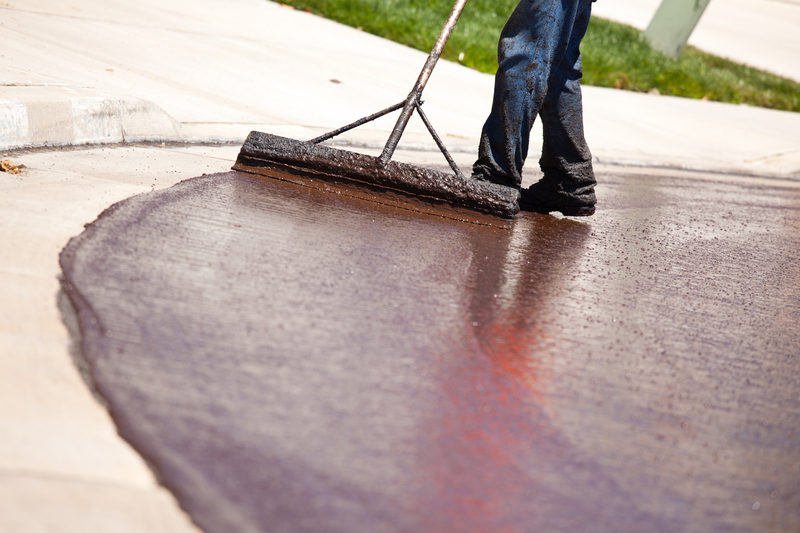 If you need slurry or seal coating for your driveway or parking lot, reach out to the expert paving contractors at Peterson Bros. Construction in Waianae, HI. Their staff has over six decades of combined experience, and they provide a wide selection of exceptional services, including excavation and grading, seal coating, and concrete and asphalt maintenance and repair. Contact this fully licensed, insured, and bonded team today at (808) 679-9522 to receive your free estimate or visit them online for more details about their services. Other Announcements, Events and Deals from Peterson Bros. Construction, Inc.
A. Peterson Bros. Construction, Inc.